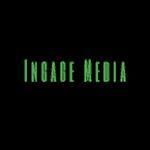 Ingage Media has provided IT Services, Web Design & Development for all types of business since 1993 and added Internet Marketing to our services in 2008. With extensive industry experience and customer-centric approach, we ensure your brand, website and marketing campaigns perform exceptionally, every time. We offer a full range of Internet marketing services. Contact us now.